A blue-footed boobie begins his dance. 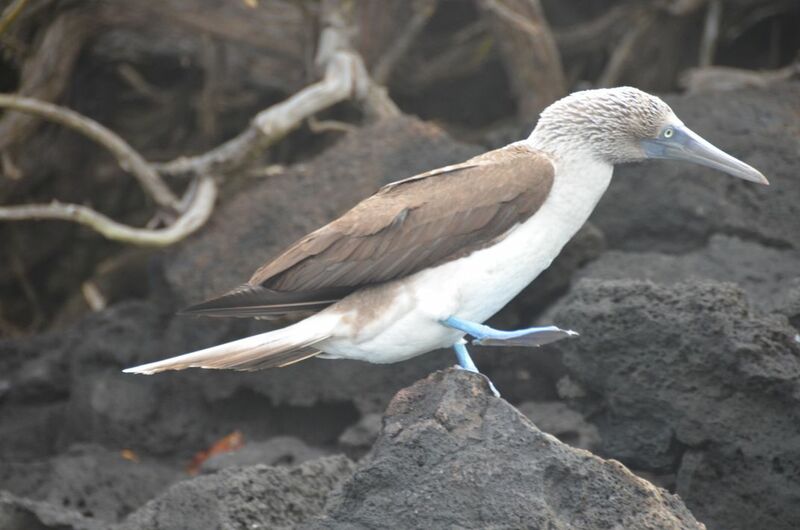 Blue-footed boobies "dance" by raising their famous blue feet to impress a potential mate. This bird was dancing while balancing on sharp lava rock. Date Uploaded: July 7, 2015, 9:34 p.m.